San Diego International (SAN) is rolling out five new concepts developed in its Airport Innovation Lab, which lets entrepreneurs create, polish and test new consumer-facing services and retail in a real-world terminal setting. This is the second group of innovators that have participated in the lab launched by SAN to reduce barriers for innovators to break into the aviation/airport industry. The program’s goals are to develop concepts that can enhance the passenger experience, improve operational efficiency, increase revenues and/or decrease costs. The entrants this year are AirporTour, an interactive, audio-guided airport tour service, Clari Guitars, a kiosk offering the world’s first foldable travel guitar, HOHM, which provide hi-tech sleep pods for consumer to use in 30-min to four-hour periods, InnoTech Systems, which uses autonomous robots to provide terminal navigation and other travel assistance, and Nuvve, which provides vehicle-to-grid applications so electric vehicles can sell excess battery-stored electricity back to the grid during peak demand times. After completing the accelerator program, innovators may have the opportunity to further test concepts at SAN and could win a contract at SAN and/or gain entry to other airports, convention centers, shopping malls and other large venues. In return for providing the space and the accelerator program, SAN negotiates a revenue share for a period of five to 10 years. 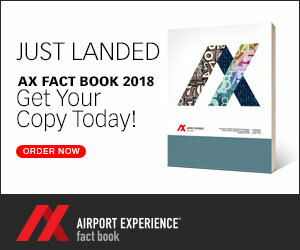 The first highly successful concept, AtYourGate delivers food and other retail items to passengers at their gates and is currently in place at SAN and five other airports.